Samsung Galaxy Note 2 Free With A $50 Monthly Data Plan? One of the motivations that people have in signing up with a carrier is that they get awesome deals for the season’s hottest phones. 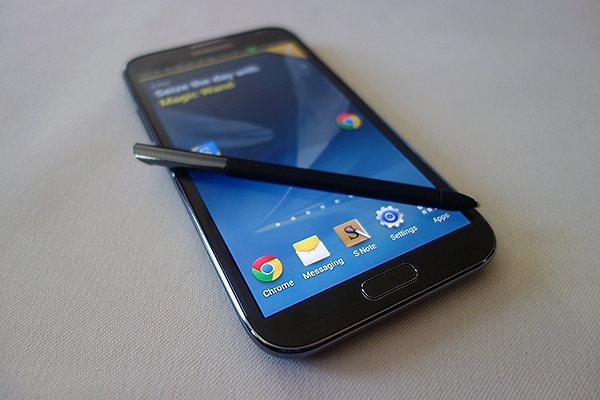 And right now, one of the phones that’s on everyone’s radar is the Samsung Galaxy Note 2. What if we told you that you can get this awesome new phablet from for free with a $50/month 2-year contract? I’m sure a lot of you are interested… But what’s the catch? You’ll have to get your Samsung Galaxy Note 2 from the Philippines. The top two telecom carriers in the Philippines, Globe and Smart Telecoms, have announced pre-orders for the Samsung Galaxy Note 2. And compared to the plans that are available in other regions, looks like they’ve got some pretty sweet deals for the device. Smart is offering the Samsung Galaxy Note for free with a 2-year “UnliData” Plan that costs Php2000 a month. That’s just $48 a month for 24 months and you won’t have to shell out any money for this 5.5-inch wonder from Samsung. However, don’t let the “UnliData” tag fool you; according to reports, you’re actually just good for up to 1.5 GB of data. After you’ve used up your bandwidth allocation, Smart starts to throttle your connection speeds. A better deal would probably be Globe’s which will also let you get the Samsung Galaxy Note 2 for free with a 2 year contract. Their monthly fee is a little higher at Php2499, or $60, but you get true unlimited data unlike the plan from Smart. The company is also working on improving their LTE coverage during the 4th quarter of this year, allowing subscribers to take full advantage of the Samsung Galaxy Note 2’s full LTE capabilities. Think you’re being gouged by your local carriers? Or are you happy with the deals that they’re offering for the Samsung Galaxy Note 2? Share your thoughts in the comments below!